Lisa Maree Williams/Stringer/Getty ImagesNoma’s head chef, René Redzepi. Noma was named the best restaurant in the world multiple times. 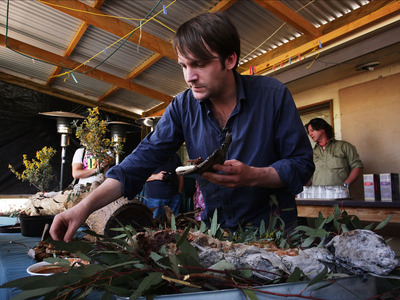 In 2016, head chef René Redzepi shut the restaurant down, re-opening in 2018. His goal, he said on an episode of “Business Insider Today,” was to help his team break out of routine and stimulate creativity. Sous chef Mette Solberg said that, now, the team spends at least two weeks brainstorming before making any dishes. At the end of 2016, Noma – the Copenhagen restaurant that had been named, multiple times, as the best restaurant in the world – shut down. The restaurant, which has two Michelin stars and is known for serving seasonal ingredients found in the Nordic region, had recently slipped from its No. 1 spot. Head chef René Redzepi was ready to shake things up, in an effort to improve the Noma experience. In February 2018, Noma re-opened in a new space, not far from the original location, on the site of an ex-military warehouse,Lonely Planet reported. Today, Noma has three seasonal menus, focusing on vegetables in the summer, seafood in the winter, and meat in the fall. Each seat costs roughly $US340. Mette Solberg, sous chef at Noma, shared the new method of operation at the restaurant with Business Insider. Unfortunately for the team at Noma, Eater reported that the restaurant opened too late to be considered for inclusion on the 2018 list of the World’s 50 Best Restaurants.